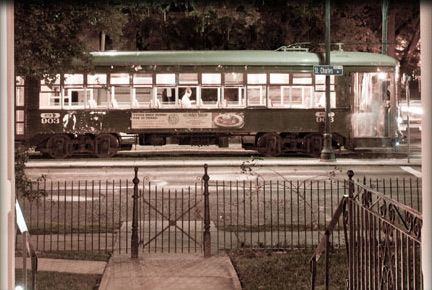 If you are looking for a taste of history in your journey to New Orleans, this is the place to be. The Grand Victorian, designed and built in 1893 by famed New Orleans architect Thomas Sully (1855-1937), is a true period masterpiece. This Queen Anne Victorian house was originally built for Francis Johnson and his family. This New Orleans Bed and Breakfast is in the Garden District. There are original drawings/plans of the house and millwork at Tulane University’s Architectural Library. Thomas Sully and his business partner, James Feret, are known for beginning the first architectural firm in New Orleans and heavily influencing the unique feeling that Uptown New Orleans offers. After restoring the 7,600 square-foot structure to its former glory, it was decorated with period furnishings to emulate the original style. All of the furniture in the house dates back to the turn-of-the-century, over a span of about 30 years. A “tester” bed is a 4-poster bed with a full canopy. A “half tester” bed is a 2-poster bed with a canopy covering half of the bed. A “plantation” size bed falls between a modern full and queen-size bed. Because all of the beds are antiques, they are not a “standard” size. Each bed also has a feather mattress on it for extra comfort. 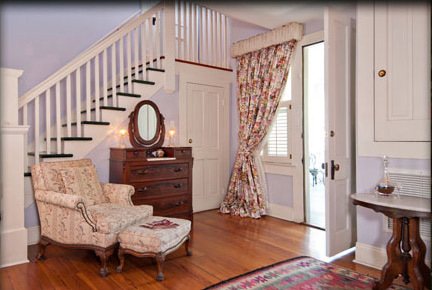 View the beautiful rooms in our bed and breakfast in New Orleans and book a getaway to a stunning inn in the Garden District. We look forward to having you as guests in our bed and breakfast in New Orleans.